I'm all about some awesome steals and below are a few that I was lucky enough to grab. 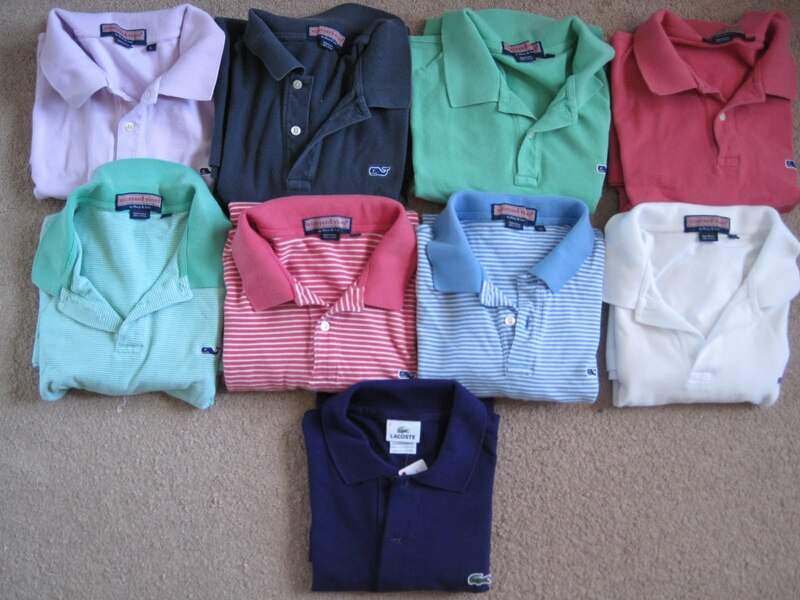 These 8 Vineyard Vines polos pictured below were found on Craigslist from a guy in Washington D.C. I didn't find out much about him but I assume he was moving on to better things in the capital city and wanting to upgrade his closet. 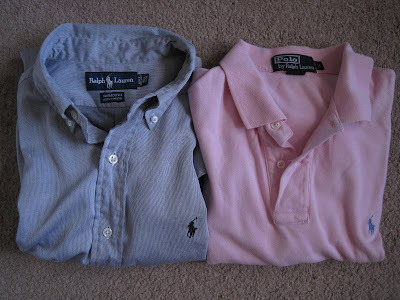 He listed these shirts for $10 a piece and I offered to take the whole lot if he included shipping within the cost. Nice guy accepted and even emailed me a UPS confirmation receipt. 8 VV shirts for $80 total is a once in a lifetime deal and I'm glad I found his listing the same day he posted it, or someone else would've jumped on it quick! I consider VV to be more of a college brand and the only VV item prior to this I own are chappy swim shorts, so I'll keep a few but much like the seller I don't think I'll be wearing them well past graduation. They go for a lot on eBay (even used) so I'll sell the rest and hopefully make a profit. Protip: for Craigslist hunting, I type into Google "[Item] + Craigslist" and it will come up with the available searches across the country. Haggle with the seller or at least ask them to throw in the cost of shipping like I did. I found the Lacoste polo at the bottom of the picture in a sales rack at Belks and was surprised to see it marked down from $80 to $40. The original Lacoste polo usually never go down that low and this particular shirt was the last one left and thankfully in my size. $40 for a shirt is still a lot in my book but I probably won't find another Lacoste polo this price for a long time. 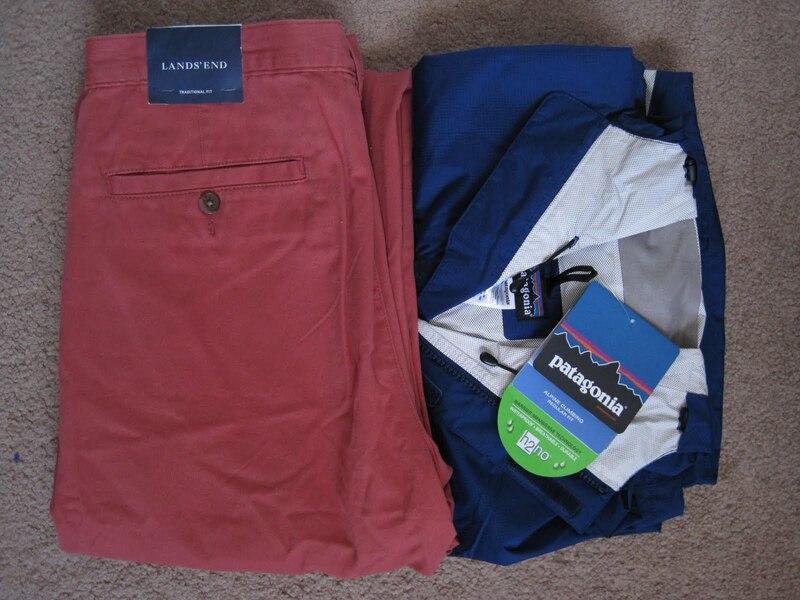 Big fan of the Land's End Legacy chinos and found these Reds at Sears for $6. The Patagonia Torrentshell Rainjacket came in the mail, marked from $120 to $71. Not the best deal overall but since it is in full season it was nice to grab it without waiting a couple of months for a clearance and risk not finding my size and color choice. Found these Ralph Lauren shirts at my Goodwill. $4 each.